Ball Hank n' Skein: New Patterns! My fingers have been crocheting furiously for the past few weeks in order to publish a couple more patterns. 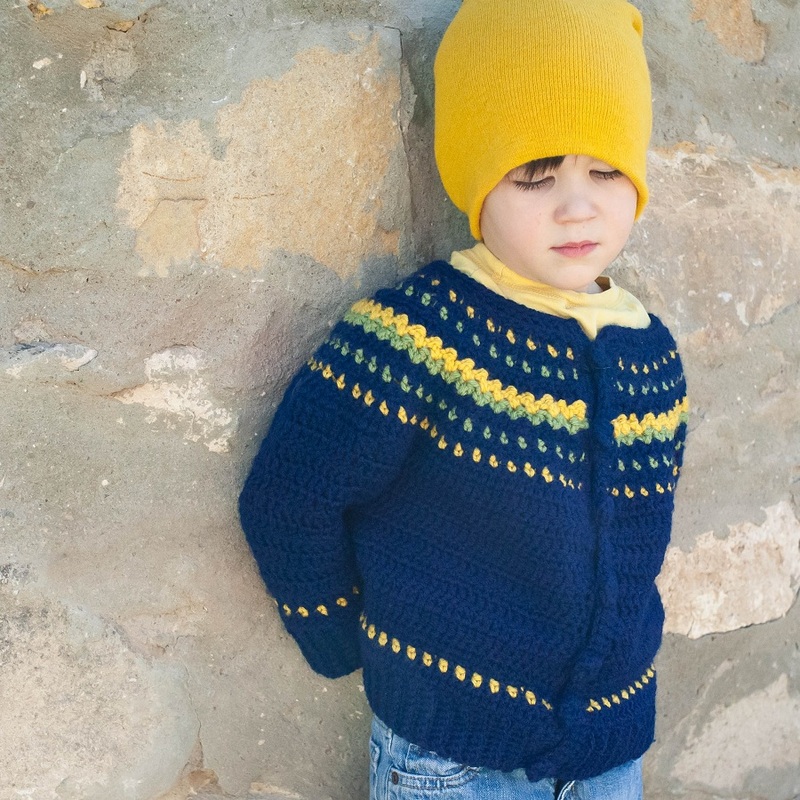 The first one is a super duper easy peasy Fair Isle style cardigan that I made when I found that there are really very few options for cute boys crochet clothes. This sweater is constructed very much like my Easy Peasy Toddler Dress but with some simple color work. Can you say instant gratification? This pattern takes me two evenings to whip up. There is only one color per row. For realsies! I know it looks like I changed color every stitch, but I didn't. This is when I like to say "knitting is for suckas !!!" (J/K) The Fairly Iselish cardigan pattern comes in sizes newborn to kids 6 and is now available in my Ravelry and Etsy shops for $4. 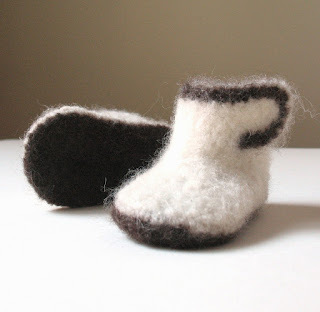 The next one are these adorable felted newborn bootie pattern. I have been selling the finished booties in my Etsy shop for awhile now but didn't feel like the pattern was ready for prime time until now. I finally figured out how to make sure that the tab is in the exact same place on both sides and thanks to my pattern testers, I finally figured out how to explain where to join the contrasting yarn in a way that you can't mess up. So I can officially call these booties EASY, which is really what I strive for in all my patterns. Every time I make a pair of these I think to myself, "OMG, I can't believe I just made these!!!" It's so amazing to me that I can take a few yards of wool yarn and in a few short hours have these heirloom quality booties! Woah dude, trippy. This is my go to project for every baby shower these days. This pattern is available in my Ravelry and Etsy shops for $2.50. What a bargain, you really can't beat that! Thanks so much! That is so kind of you to say.